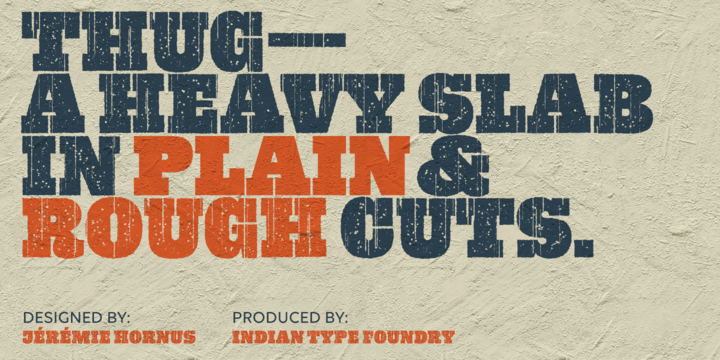 Thug is a slab serif typeface created by Jérémie Hornus and published by Indian Type Foundry which comes in two style (Plain & Rough), a wide range of glyphs and three version per letter. It is suitable for poster use. A font description published on Tuesday, October 25th, 2016 in Fonts, Indian Type Foundry, Jeremie Hornus by Alexandra that has 1,914 views.